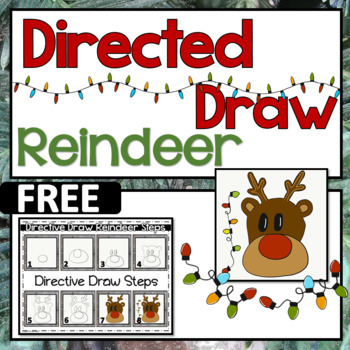 This Christmas Reindeer Directive Draw art activity is a fun way to bring festive art to the classroom. It is very easy to teach, the step by step instructions are included and they look adorable when finished. These look great on the bulletin board as well. Once the step by step instructions are completed, students get a chance to be creative and make it their own. 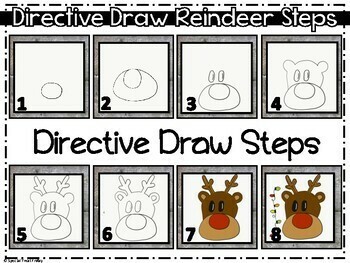 Then they will trace with a black marker and can either use water colors (recommended) or color their picture. This is also a great lesson on following directions. Make sure you check out our 12 Days of Christmas Projects. 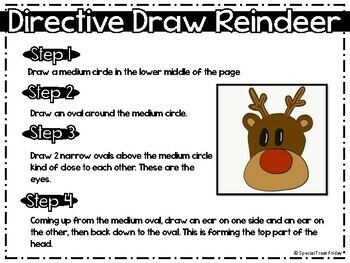 This is included as well as 11 other projects to keep your class busy all Christmas Season and after. 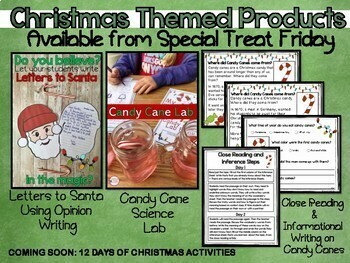 You may also be interested in my Letters to Santa Using Opinion Writing or the Candy Cane Science Experiment. Step by Step Lesson Plans - These lessons can take anywhere from 1 - 6 days, depending which path you take and how quickly you want to work through it. The project is a Santa project, but if students do not believe in Santa, there is a Christmas tree version. Also, follow me and be notified when new products are uploaded. Sometimes new products are on sale the first 24 hours that they are uploaded. It pays to follow!